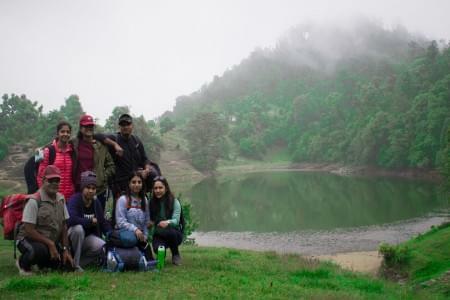 Gaumukh Tapovan is a beautiful trek that showcases the raw beauty of Garhwal Himalayas including few remarkable peaks such as Bhagirathi, Shivling, Bhrigupanth, etc. The trek takes one to the Gangotri Glacier, a.k.a Gaumukh, the source of Ganges River and also one of the largest glaciers in India. The trek begins from Gangotri, which is a famous pilgrimage site and one of the Chota Char Dham temples in Uttarakhand. Duration of the trek is 6 days and it passes through Chirbasa, Bhojbasa, Gaumukh, and Tapovan. The gradient of this trek varies from Moderate to difficult and is suited for trekkers who have done at least 2 treks before. 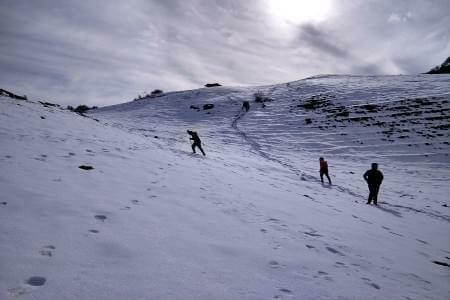 However, beginners having good physical fitness can also do this trek because the altitude is not much higher. On the trek, one encounters the raw beauty of Gangotri National Park, rare flora and fauna, dense forest, river valleys, snow-laden massifs, and huge glaciers. Depart from Gangotri and reach Dehradun around 5 PM. Gather at Dehradun ISBT or Railway Station. Our trek leader will meet you there and then you will start your drive to one of the Chota Char Dhams in Uttarakhand, Gangotri. The temple is around 304 km far from Dehradun and it will take at least 10-11 hours to reach. Gangotri Temple is one of the most famous temples in Uttarakhand and is dedicated to river Ganges. The temple is situated along the Ganges River. 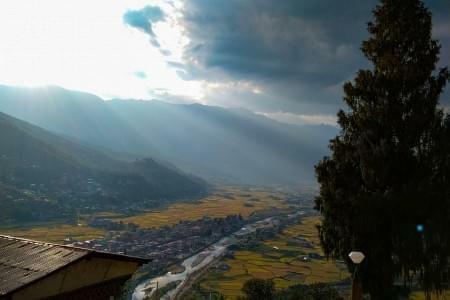 Apart from being a renowned pilgrimage destination, the place is also known between trekkers as it is the starting point of several treks including Gaumukh Tapovan, Kedartal, Auden's Col, Kalindi Khal, Rudragaira, Vasu ki Tal, etc. The journey to Gangotri passes through Landour, Suwakholi, Chinyalisour, Uttarkashi, Gangnani, Harshil and Dharali. 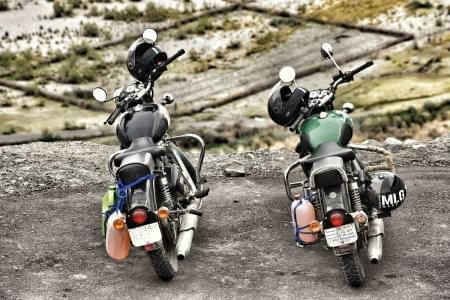 As we start from Dehradun, we take the Mussoorie road and take the right turn just before 5 km from Mussoorie and head towards Suwakholi on the Dhanaulti route. The road gets narrower after turning right. 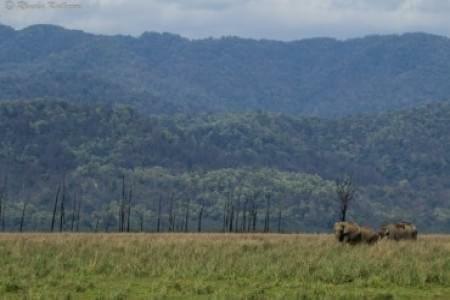 The further route is scenic as it passes through pine forest. The drive from Chinyalisour is along the Bhagirathi River. We continue our drive on the Gangotri highway and take a halt at Uttarkashi for the lunch. The city of Uttarkashi is the headquarters of Uttarkashi district. We can visit the famous Kashi Vishwanath temple if time allows. The road after passing Uttarakashi gets more scenic and one can see the snowcapped peaks of Banderpuch during clear weather. 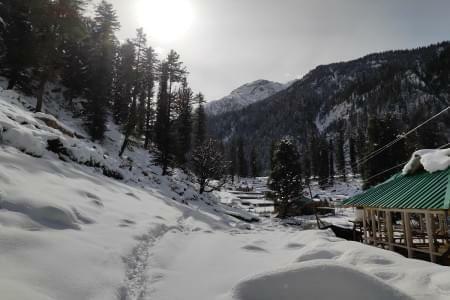 We pass through other important sites such as Gangnani, which is famous for hot water springs, Bhairo Ghati, which is famous for a deep gorge and is quite scenic and a few more places. We reach Gangotri in the evening. Freshen up and get ready for the evening Arti. The Gangotri temple is situated at an altitude of around 3300 meters, so a good tight sleep is necessary to acclimatize your body. Overnight stay will be in the guest house. After having breakfast, we will start our trek towards Chirbasa. Today’s trek will be around 7-8 km long and it will take around 5 hours to reach the campsite. 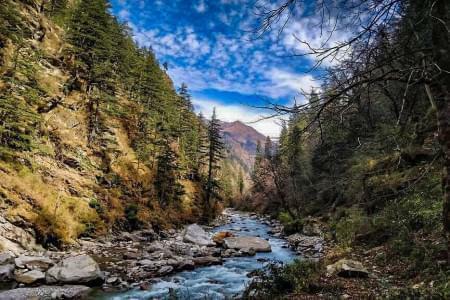 The walk will be through the pine forest along the gushing Bhagirathi River. 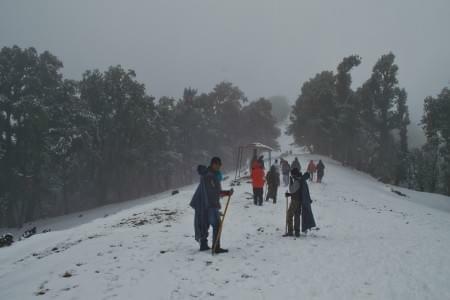 The trail is scenic as it offers majestic views of Sudarshan Parbat (21,345 feet). We will also cross a few waterfalls and streams from which we can refill our water bottles. The complete trek will be in the Gangotri National Park. Reach the campsite by afternoon and enjoy the scenic views. The campsite will be near the Bhagirathi river and in between the pine forest. The site also offers the magnificent views of Bhagirathi sister peaks including Bhagirathi I, II and III (6856 m, 6512 m, and 6454 m respectively) along with Bhrigu Parbat and Manda Peak. After having lunch, we will go for an acclimatization walk and explore the site. Overnight stay will be in camps. 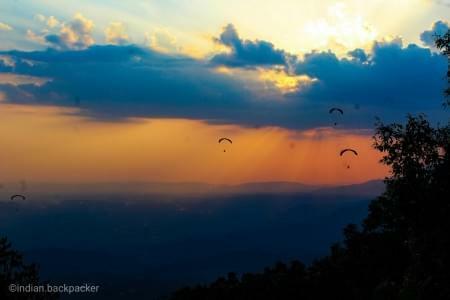 Wake up and enjoy the heavenly sunrise. We have our breakfast and get ready for the trek to Bhojbasa. Today’s trek will be easier and shorter as compared to other days. The trail will take us closer to Bhagirathi peaks. 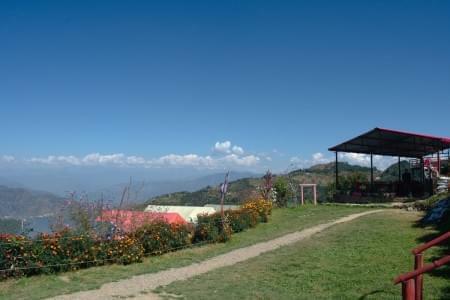 After the trek, the camps will be pitched on a plain surface and the place is Bhojwasa. The name of this campsite is derived from Bhojpatra trees or the Birch trees. Here on this campsite, we can find forest check post, rest houses, ashrams, etc. After reaching the campsite, have your lunch and relax. We can explore around or play games at the campsite. Overnight stay in the camps. This day will be the D-day of the trek because it will be the longest and toughest day. We will be trekking towards our final destination which is Tapovan and also covering the Gaumukh glacier. 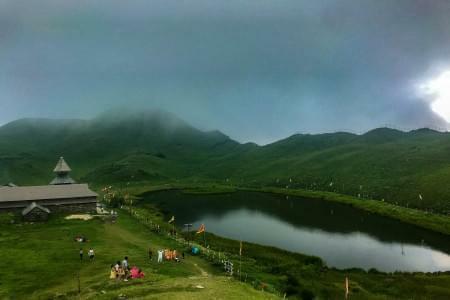 Get prepared in the morning after breakfast and move towards Tapovan. Make sure you fill your water bottles before leaving the campsite as there are no water sources on the way. The trail up to Gaumukh is relatively easier than the trail from Gaumukh to Tapovan. From Gaumukh, the trail gets steeper and is full of boulders and moraine. Explore Gaumukh, which is the end of Gangotri Glacier, and the source of Holy River Ganges. The glacier is mighty and offers many scenic views of the surroundings. The final ascent is made up of rocky terrain and after this, we will get to see a vast meadow, which is Tapovan. You will be mesmerized after seeing the Mt. Shivling as it is quite closer from Tapovan. The place is quite famous for meditation as several sadhus come here to meditate. After exploring the place, we will start descending back to Bhojwasa. Reach back to the campsite and relax. Get ready for the return trek from Bhojwasa to Gangotri temple. The downhill trek will be easy so we will skip the Chirbasa campsite and trek down all the way to Gangotri temple. We will take the same route that we take while coming up. Reach the temple by evening and relax. We can explore the market in the evening and can buy souvenirs. Overnight stay in the guest house. Now it’s time to say good bye and head back to Dehradun. We will drive through the same route and reach Dehradun by the evening. Trekking journey ends here. Offloading charges- INR 250 per bag per day and should be informed 3 days before the trek.